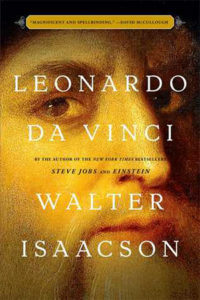 The Innovators and Leonardo da Vinci, both written by Walter Isaacson, focus on the overlap between art and science, as well as reality and imagination. Both works also show the reliance of society on innovation, and how the receptiveness of invention is often as important as the invention itself. In The Innovators, Isaacson focuses on the importance of teamwork and the ability to flesh out new ideas while also building on pre-existing ones. Innovation itself tends to serve as the intersection of two things; in this case (and in Leonardo da Vinci), it seems to be the intersection of humanity and technology. The willingness of society to accept, understand, and consume the unknown technologies and devices was in some cases as important as the invention itself. The case was the same for Leonardo da Vinci, whose artistic ability was the base for his scientific inventions. Even though most of da Vinci’s creations never came to fruition, it is clear from the intricate drawings and descriptions that have survived that his ideas were far ahead of his time. Our (Thrivner’s) conversation focused on the importance of an innovator being able to take the leap, and bring their ideas to the forefront. We also discussed the role of the manager in these scenarios, and what might happen if the manager becomes the innovator. This particular intersection is where the importance of team becomes the most evident. If there is no team to pick up the manager role and support the innovator, there is the possibility that the innovation will fall short, unable to meet all expectations. The main focus of both of these novels, as well as our discussion, is that the intersection of creativity and science has always been at the forefront of some of the world’s greatest inventions. However, the largest roadblock for moving these from idea to innovation is (and may always be) humanity itself. Isaacson, Walter. Leonardo Da Vinci. Simon and Schuster, 2017. Isaacson, Walter. 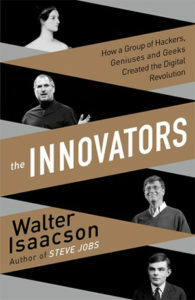 The Innovators: How a Group of Hackers, Geniuses and Geeks Created the Digital Revolution. Simon and Schuster, 2014.